Liberty Flights is a company with foundations in the UK specializing in e-cigarette and e-liquid distribution. “Specialized” may be an understatement though, as they are industry leaders in producing some of the finest quality unique e-liquids. They also took on the task of driving the industry towards a brighter future by taking actual steps towards safety restrictions. They are also founding members of the Independent British Vaping Trade Association. But just because the roots of Liberty Flights are in the United Kingdom doesn’t mean they didn’t reach out for other audiences. The company established its presence in Australia and New Zealand years ago, so now the local smokers can “vape” as well. 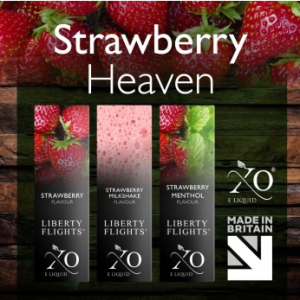 We asked a representative of Liberty Flights about their decision regarding the launch in new markets, the importance of the “Made in Britain” label, and their plans for the future. Why did you decide to launch into the Australian and New Zealand market place? I started researching the Australian electronic cigarette market in 2012 to learn how this relatively new technology was helping smokers switch to an alternative nicotine delivery system. This inspired me to launch Liberty-Flights.com.au in November 2013. What differentiates Liberty Flights e-cig products from those of other brands? We produce our own liquids using only pharmaceutical grade nicotine, sourced in the UK. We have our own clean room and bottling facility and this allows us to maintain the high quality of our liquids. The devices we sell are all approved and quality controlled by Liberty Flights to ensure our customers get the best vaping experience. We back our products up with exceptional customer support, as we pride ourselves on assisting customers throughout their vaping journey. What makes the “Made in Britain” label so important? Manufacturing in the UK enables us to maintain our high quality within the industry. Our e-liquids are regularly tested at an independent, accredited GMP laboratory. Good Manufacturing Practice is the standard required to conform to legislation covering pharmaceutical manufacture and testing. Liberty Flights continues to invest in scientific development and testing to ensure that we produce e-liquid that is of the highest quality and safety. How do you recommend using an e-cig to stop smoking? We don’t make any therapeutic claims about using an electronic cigarette or any of our products. If smokers are seeking advice about smoking cessation, then they should contact a quit smoking service, alternatively their GP’s or a local pharmacist for recommendations and advice. However, our e-cigarette starter kits will help smokers switch to e-cigarettes comfortably. In case you’re not an existing smoker, consider yourself lucky, and please don’t take up any habit on our account. We actively discourage people who don’t currently have a dependence on nicotine to use our products. What advice do you have for people who want to use Liberty Flights for the first time? I’d like them to know they can contact us 7 days a week if they want to talk to our trained staff for advice or they can simply shoot us an email. To people who are new to vaping I would recommend the Liberty Flights Premier Starter Kit for its ease of use, price, plus it comes with a 30 day money back warranty, as do all our starter kits. How can you guarantee the safety of Liberty Flights products? We are founding members of IBVTA – Independent British Vaping Trade Association – and are leading the way in the Industry on standards. How can we enjoy savings or other advantages when shopping with Liberty Flights? 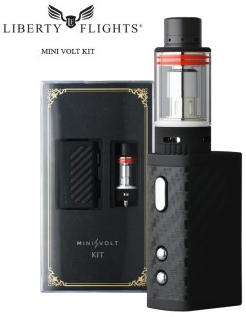 We offer free shipping on all starter kits plus bulk order discounts on e-liquids, clearomizers and atomizers. snip snip offers further savings on our products through coupon codes and special promotional offers. What is your personal favourite e-cigarette and e-liquid? My personal favourite is Tobacco Virginia in 1.8% nicotine. If I am going out then I use a Premier Starter Kit, while in the office or at home I use the Kanger EMOW 1300vv battery. What is up next for Liberty Flights? We continue to add new flavours to our site based on feedback from our customers. We will be launching a new e-cigarette in July which is an ‘all in one’ device. We believe this new technology will further enhance the vaping experience. With greater flavour, easy fill, no leaks and a charge-as-you-go battery, you won’t look back. Anything else we should certainly know about Liberty Flights? We believe in, and we are passionate about what we do – our growing and loyal customer base is testament to this as are their stories, which inspire us every day. Thanks to Liberty Flights for the entertaining interview!